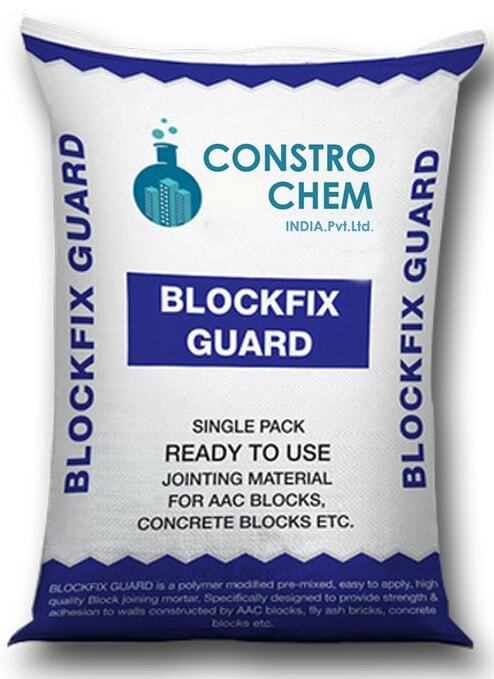 A polymer modified pre-mixed, easy to apply, high quality block joining mortar. 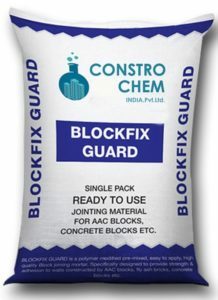 Specifically designed to provide strength and adhesion to walls constructed by AAC blocks, fly ash bricks, concrete blocks etc. It is known as Blockfix Guard.